Organizations need to realize their strategic objectives and business initiatives. 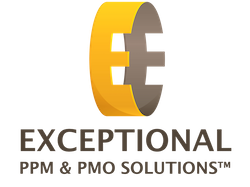 Exceptional PPM and PMO Solutions™ helps our clients achieve those needs through advisory, training, and facilitative consulting services related to project, program, portfolio, and PMO management. Our expertise spans agile (including Scrum and Kanban), traditional/waterfall, and hybrid approaches. Our experience and expertise are highlighted next. Scott M. Graffius of Exceptional PPM and PMO Solutions™ regularly speaks at conferences and other events in the United States and internationally where he delights audiences with presentations on agile, traditional, and hybrid project, program, portfolio, and PMO management. He integrates content on professional standards, best practices, and his first-hand experience with successful implementations. Scott uses everyday language and custom vibrant visuals to make complex topics clear and understandable, and he provides audiences with practical information they can use. Scott spoke at Techstars Startup Week and at events in London and Las Vegas. He also delivered talks at the Los Angeles chapter of the PMI, the California Central Coast chapter of the PMI, the California Inland Empire chapter of the PMI (two events), and the California Central Valley chapter of the PMI. Attendees have said “Scott is an amazing speaker,” “fantastic presentation,” and “highly recommended!” Scott’s upcoming appearances include the Project World conference in Canada, and more—to be announced. To ask Scott to speak at your event, complete a request form. For additional information, visit https://www.scottgraffius.com/publicspeaker.html.